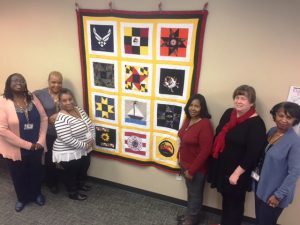 One thing that’s certain is the staff at the Maryland Department of Housing and Community Development is incredibly giving. Each year, our team turns out in droves to support the annual Maryland Charity Campaign, and 2018 was no different. This most recent campaign featured new events, highlighted our talented and generous team, and raised more than $50,000 for MCC-eligible charities. Our 2017 and 2018 campaign numbers are the best indicator of DHCD’s giving spirit. Between the 2015 and 2016 MCC seasons, we raised $59,355. Over the last two campaigns, that number increased by more than 80 percent for a collective $106,940. Events from this year supported a broad array of nonprofit organizations, ranging from Extra-Ordinary Birthdays, which provides birthday parties for homeless children, to Project Healing Waters Fly Fishing, a group that works with wounded servicemen and women. From just our events, we raised more than $5,400; our small-but-mighty Cambridge office raised nearly $1,100 alone! Popular events like Jersey Mondays and the Hot Dog Lunch Halloween Party returned for another year as well. 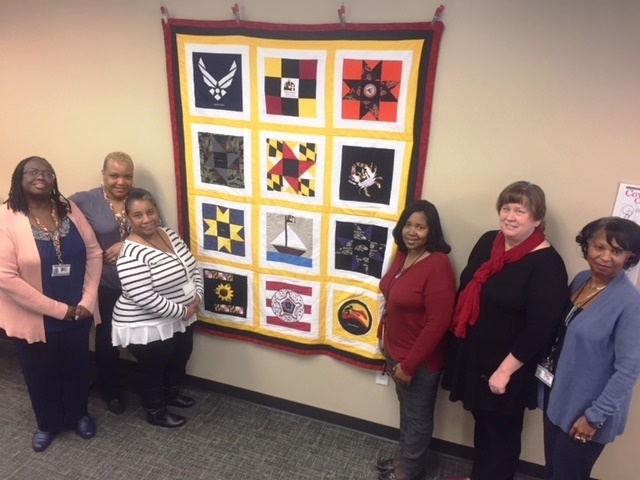 At the Lanham office, for the annual basket raffle, a talented team from the Division of Credit Assurance and the Division of Finance and Administration contributed a stunning Maryland-themed quilt that ultimately raised $155 for Associated Black Charities. Perhaps the most anticipated part of the last three campaigns has been seeing what Secretary Ken Holt and Department of General Services Secretary Ellington Churchill have cooked up for an annual video and inter-departmental challenge. They’ve been gangsters and dancers in videos past, and this year opted for a Blues Brothers meets Peter, Paul, and Mary musical outfit that they led. Each agency also held their own talent show, with DHCD’s closing out the campaign. Whatever the 2019 MCC holds in store, one thing is certain: the DHCD team will rise to the occasion once more.